The OnePlus 2 features a USB Type-C port for charging and data transfer. It’s future-proof, amazingly convenient, and backwards-compatible. Connect all of your standard micro USB cables and accessories to your OnePlus 2 with our Type-C adapter. Weighing just 16g (0.56 oz.) and boasting an incredibly thin design, our USB Type-C adapter is surprisingly light and compact. Features a clean, minimalist design in quintessential OnePlus fashion. 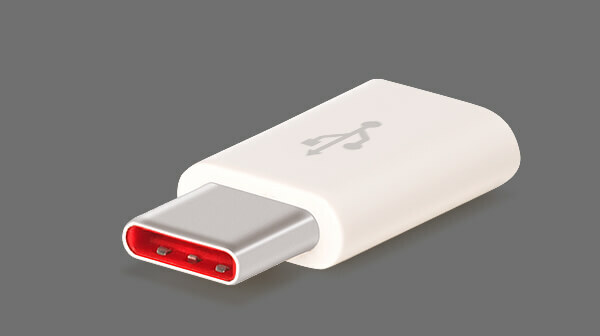 We’ve included our handy silicone sleeve, custom designed to perfectly encase our Type-C USB adapter. Attach it to your keyring, backpack, or another convenient spot and always be ready to connect. Please note that this product is not compatible with our Dash Charge technology.Please check input and output before using with other electronic devices.